There is always a good deal of excitement around Easter to follow the traditions of our families but maybe to do something a little different each year. Nearly all festivities around Easter time involve the use of eggs in some form or another. The Greek Orthodox paint their Eggs, many in the West in general give away chocolate eggs, and there is always the Easter Bunny who carries a basket of eggs..then there’s always that Easter Egg hunt for the little ones…Jewish people use a burnt egg at their table for Passover. So when it came to thinking of something novel to discuss in the lead up to Easter I thought of our Julleen Egg collection. I have added just a few for you as we do the mabe necklaces in Gold, Pink and White with little Julleen Egg Earrings to match. We continue to make these lovely pieces as people just love them, as do I.
Wishing all our Irish mates – a very happy St Patrick’s Day. Potato Pearls! What were, pearl farmers and merchants thinking, when they gave name to such beautiful gems as pearls. What a shame for such glorious gems to have such a course word a potato! However, it describes, perfectly, the shape of some pearls that are drilled horizontally -O- (being at their longest top to bottom). The chunky white ovals in the first image shows. also potato pearls, but drilled vertically. I prefer to call these ovals. In fact all the ones you see above are potato pearl…because they are not quite perfectly round. Some absolutely stunning, large pearls look fantastic, just as the are, imperfect. The last two images are shots of perfectly round Broome pearls (the set of perfect 12 mm rounds) and the gorgeous Aqua high grade small 7 mm oval pearls. Some rougher surfaced tiny baby ovals are called rice pearls, but that’s a whole other story for another day. Below are my favourite shot of all time of some of our Pink potato pearls and the lovey necklace Xena with big chunky white pearls and slithers of carved shell chunks with 12 mm black pearls. It’s a great experience purchasing a lovely jewellery piece on line, you simply can’t wait for it’s arrival and excitement is just so overwhelming until you get that parcel and open it. Disappointment in receiving what you thought would be exactly the right size in a ring you purchased online (as there was absolutely nothing like it anywhere) and the ring size is wrong, is devastating. As a ring collector I find the easiest way when purchasing a silver ring is to chose a ring with an adjustable band. If this is not possible…I go ahead (because I can) and cut the back of the ring open “Split the Ring” and file the edges down for a smooth finish….so it will not cut into the finger. Then I can wear that ring on any finger I like. When you purchase a ring from Julleen just ask us to do this for you at the check out section online. I will do this free of charge for anyone…as I know what it is like to have a ring that does not fit. This “Split the Ring” method, of course cannot be done with every gemstone ring you buy, but it certainly does help knowing that you can wear any ring you want, when utilizing this very simple method of re- sizing a ring. I made a little video about this but for the benefit of many customers who want to measure their own ring size I have added a little ring chart for you too. We do a few mabe rings with the expandable band. Here’s a secret that is spreading around the globe. It’s the Lobe Lift Secret Earring. Not only for lifting a heavy earring but helping with the look of an aging ear lobe that over the years has stretched and is not a pretty sight. There is a way to lift lobes without having to have an operation. And you can do it with an earring back, a very special prop UP bra for the ear lobes. No need, when the condition known as Droopy Lobe Syndrome, is not too servere to have an operation when you can buy a clever little gadget that does it for you every time you wear it. This earring props up the ear lobes, clear and simple. I will add a video for you to view at the end of this blog, explaining the actual design of the lifter and you get to see it close up. However for now, let’s look at some ears with earrings, with and without the Ear Lobe Lift and get a a better look at the butterfly clip that completely changes the look of a droopy ear lobe. To purchase it just click on the link above. Or the “Online Shop” button at the top left under HOME of this Blog. This is how the Lobe Lift Earring comes to you. Each set of Lobe Lift “butterfly clips” (earring backs) comes with a Set of Sterling Silver 8 mm Ball Studs. This is our gift to you when you purchase the ear lobe lift. This last shot shows it can be worn with a drop earring also. See how the Drop Pearl Earring sits firmly and neatly on the ear lobe. It prevents dragging and stretching your ear lobe. Liz And La Peregrina. Jewellery That Lasts, Please. I saw a discussion on another blog I love FOF I’ve been a member for a long time now. It was all about Liz Taylor and her jewels. Of course the most famous and my absolute fave was La Peregrina the over 50 ct pearl which is over 500 years old. Liz was given this in 1967 for Valentine’s Day by Richard Burton and was bought for a record at the time $37,000. It sold at auction for 11.8 million just last year. This woman had a good eye for jewellery and knew that good pieces will last for may generations. Although I love the modern day jewellery, some is cheap and nasty and bought, just to gain affect for an outfit, I can’t help but try to make jewellery that lasts the distance and more than a lifetime. I would like to think that many years after I have gone, Julleen designer pearl jewellery will be out there somewhere owned by someone who will cherish their much loved piece, for their lifetime and will continue to hand it down to the next generation. Jewellery should be “made to last” and last longer than the wearers themselves. Liz! What a woman! She had an incredible “eye” for good Jewelry. She always said that the museum collectors’ pieces, like my fave, the pearl worn by Queen Mary, La Peregrina, were hers only as their carer, because jewelry would last several life times, as proven by this pearl with a 500 year history. Take a look at something very special a necklace I believe is a must have! Our streamlining has begun. The Year of the snake certainly is making things change quickly…almost like everyone is tossing off the old (skin) and “ON” with the new. Here here! On 20th February the old Julleen Pearl Jewellery site comes down. It’s the end of an era folks and the beginning of a brand new look for us. 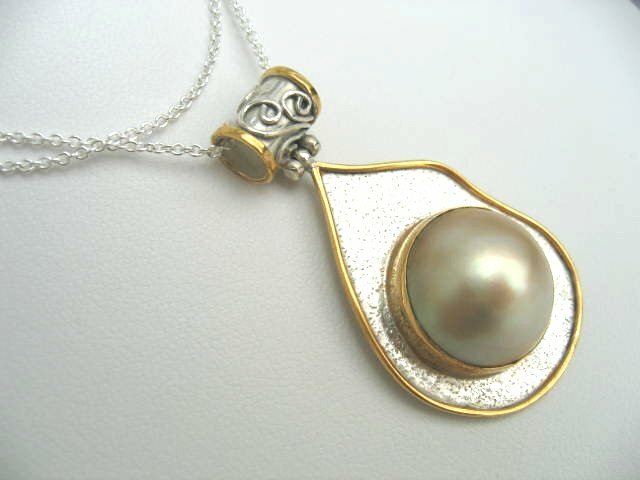 We’ve totally upgraded our now lovely Pearl Earring site and our Pearls Jewellery Online Blog. We now are linking all our websites to the one E store. This will save lots of time and work for us and will be of great benefit to our amazingly loyal customers and followers. You will notice the difference immediately, I’m sure, and I for one, am really excited. We just ask you for a little patience as we join our web and network on julleen.com. Watch out for more new ideas as the year progresses. We are negotiating a collaboration with another really groovy Perth Jewellery Designer and introduce a new line of wire jewellery by our friend Megan Rede. This will satisfy all the brides and gals out there wanting cluster pearl necklaces as well as serving our clients who still want our signature quality designs.